For a good look at shorebirds, sit quietly at a distance and study them through binoculars or a spotting scope. Disturbance from boats, people and dogs is a problem and these sites are best viewed out of the holiday season. One of the best places to see Straddie’s migratory shorebirds is on the Amity sandbanks at the north-western end of the village where the birds roost at high tide and on the exposed mudflats at low tide. Many thousands of waders and terns are sometimes present in summer. Bar-tailed Godwit and Grey-tailed Tattler are usually very abundant, while Whimbrel and Eastern Curlew are common. From February to August, the Double-banded Plover from New Zealand can be sometimes sighted at Amity but more often at Flinders Beach. Amity is also a great place to see resident shore and water birds such as bush stone-curlew (especially at dusk in the camp grounds), red-capped plover, Crested Tern, lapwings, herons, egrets, ibis, spoonbills and cormorant and, if you are lucky, the beach stone-curlew. Shorebirds such as Bar Tailed Godwit are spotted making use of the beach lagoons on Cylinder and Home Beach along with lapwings, flocks of crested tern and other sea and waterbirds. Bush stone-curlew are now fairly common and can be seen at dusk on roadsides and heard calling all over the township at night. The tracks of the beach stone-curlew have been spotted on Deadman’s and Frenchman’s Beaches with an occasional rare sighting of the bird itself. 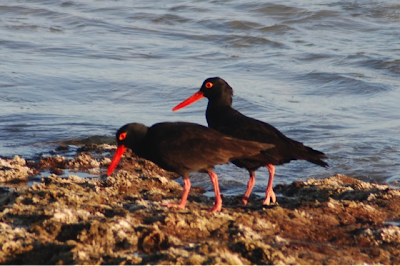 Pairs of sooty oystercatchers are sometimes spotted on rocky beach outcrops on Frenchman’s Beach. A small high tide roost and mudflats near the One Mile Ferry jetty is always worth checking out to see which shorebirds are making use of the area. Australian pelicans are also commonly seen. 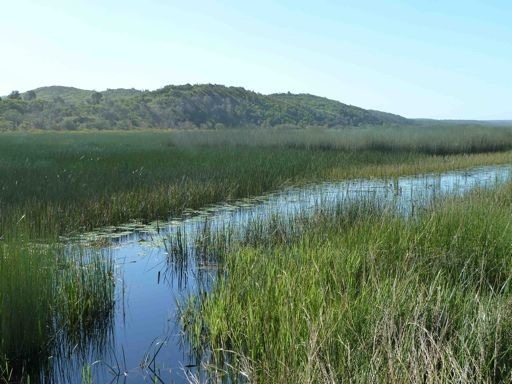 Somewhat hard to access, this very significant Ramsar wetland is our new National Park. 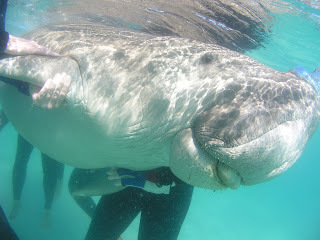 The area is still under threat from nearby deep dredge mining.